How much would you be able to save by trimming the fat on your different insurance policies? A couple hundred dollars per month? Now, how much would you have if you took those savings and invested the difference? Insert our Investment Value Calculator tool! This tool is incredibly easy to use and can be manipulated to show a multitude of scenarios. Simply enter an annual rate of return, the amount of months you would invest the money, the current value of the account, if any, and the amount you will be contributing monthly. For example, say you have a whole life insurance policy that is costing you $4,000 each year and decide to instead apply for a thirty year term policy that will only cost you $380 each year. That is a difference of $3,620 (about $300 each month) in savings every single year! Yes, you could use this extra money towards a vacation but think long term. Try putting this into the calculator and see what it could be worth down the road. 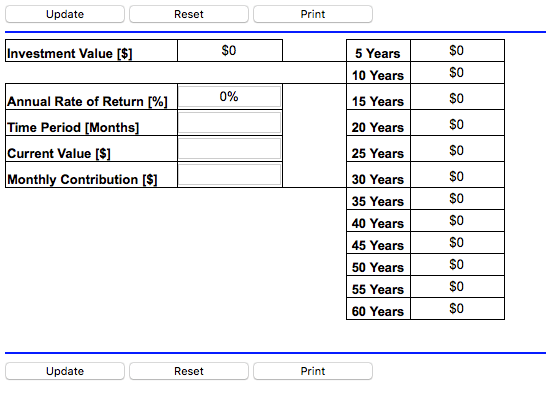 Not only will this tool allow you to see your Investment Value after the time period you selected, but it also allows you to see the investment value at 5 year increments. Try it out on your life, auto and home insurance policies! Save on your insurance and put your money to work for you today! Want more tips like this one? Subscribe to the Monday Money Tip Podcast HERE. SPECIAL OFFER: This month only, get your own copy of Joe’s book, I Was Broke. Now I’m Not. for 25% off plus free shipping! Get your copy HERE before July 31st! 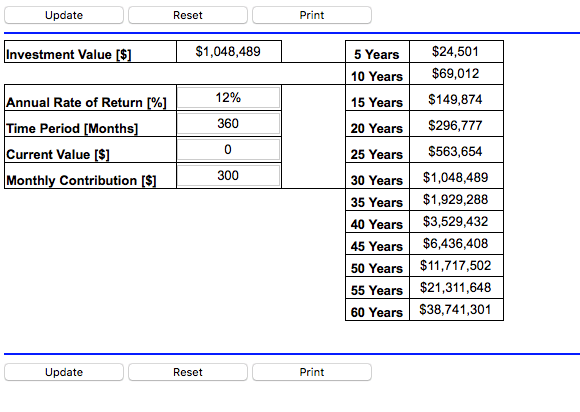 Thanks for providing this investment calculator Joe! It factors in some of the most important values. Do You Have a Vision for Your Money?